This week it's Zach Blair from US punk rock behemoths Rise Against under the spotlight. We caught up with the guitarist at Download festival earlier this month and he talked us through his 2004 Gibson Les Paul Classic, nicknamed 'Motörhead' by the band. 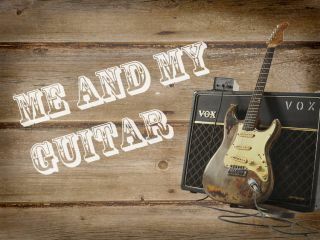 Me And My Guitar is a new video regular in which guitarists from across the music sphere tell us the stories behind their favourite instruments. Who do you want us to feature in Me And My Guitar? Let us know via Facebook or Twitter.